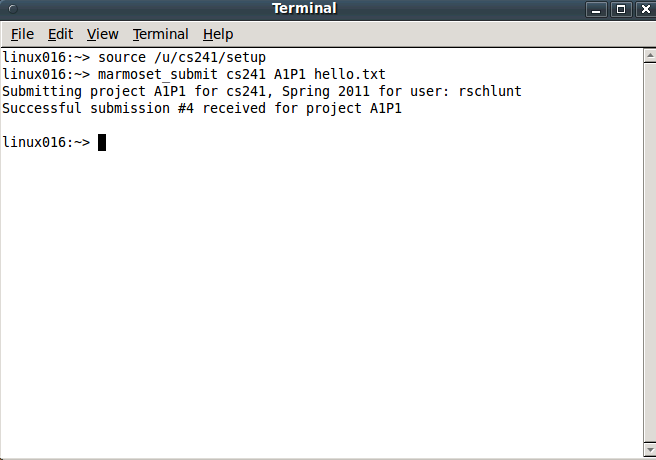 You may use the marmoset_submit shell command to submit assignment problems to Marmoset. The command is available on the linux.student.cs servers. Afterwards you should see a message similar to the one above. Please note that you will still need to use Marmoset in a web browser to see the if the public test results and to release test.